Alpha and IT testing will now resume at its pre-re-abilitation schedule. You can safely expect multiple tests per week, and hopefully one major test each weekend, for the rest of the summer and beyond! We’re sorry that we had to shut down testing the last few months, but it was for the right reasons. Now, as the ability system begins to take shape, we will begin testing more often. Tonight, I’m happy to announce that Wyrmling has also been re-launched, and is now open this weekend for our Alpha & IT folks. For those who will be participating in this test, please read the email I sent out about it. This is a big step for us and hopefully, this weekend’s test will be a success, so we can bring in our Beta 1 folks as well, into our scheduled (and unscheduled) Alpha Testing next week. Our big focus right now is to get back to regular testing to begin vetting the new code, as well as get our Backers in to provide feedback and have fun. Both this week and last week, we’ve done a major push on server and client stability, which has meant squashing lots and lots of bugs. As we have continued to say throughout our production, Andrew is very focused on not having a buggy mess near release, so we continually drive the team to “clean” as they go. 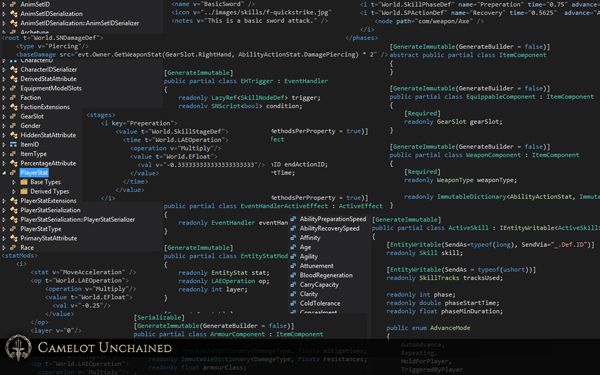 This may mean some things take longer than we’d like, but the end result is clean, solid, code. Bots are back, with basic functionality for testing. Build pushes are working again on the Wyrmling server. Multiple threading issues have been tracked down and fixed. Doing so helped spin up new engineers on our threading library. A terrain blending fix went in for ATI cards with a major optimization pass. Source code projects have been cleaned up and optimized. A UI manager threading rewrite was done to use ParLL threading library – this improves performance and reduces hangs related to the UI. An important thing that came out of all our testing, which some of our Backers participated in, was “Arrow-geddon!” We’ve been spending time spamming arrows to stress test the server’s capability of tracking large numbers of physics objects. She’s been a champ, and we’ll be looking to further stress this in future tests. As a note, this is something other games cannot do on the scale we are working with. Imagine large, 500-player battles, with fully interactive physics projectiles flying through the air! Mark joined the fray, and quickly built a very useful tool to edit and export components for ability building, which works directly with the new re-abilitation code. This will save us lots of time working with the new system. Andrew continues work on the networking code to efficiently get ability data down to the client. This is a complete refactor to what was our CAS system, and is now the “Client Spec.” This package contains everything the client needs to know in order to visually show an ability. Ability disruption is back, and currently being tested on Crushing damage! 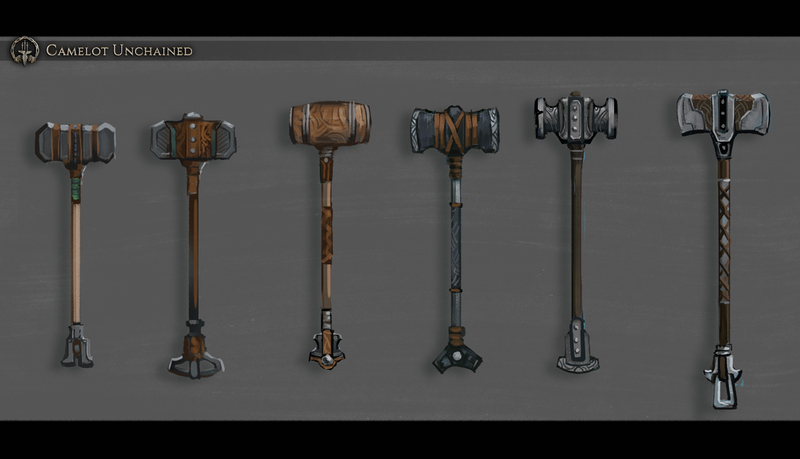 We’ve begun to look at the old in-game ability crafting system, used for… wait for it… Crafting abilities in the game! Doing so has already borne fruit, as we are pushing for more flexibility in what skills we can build. Large “Benification” push on existing ability code, to make it easier for Design to build abilities. Procedural wood materials are now a thing in the engine. I know this doesn’t sound like much, but as we will have a lot of assets to create, the faster we can produce them, the better. 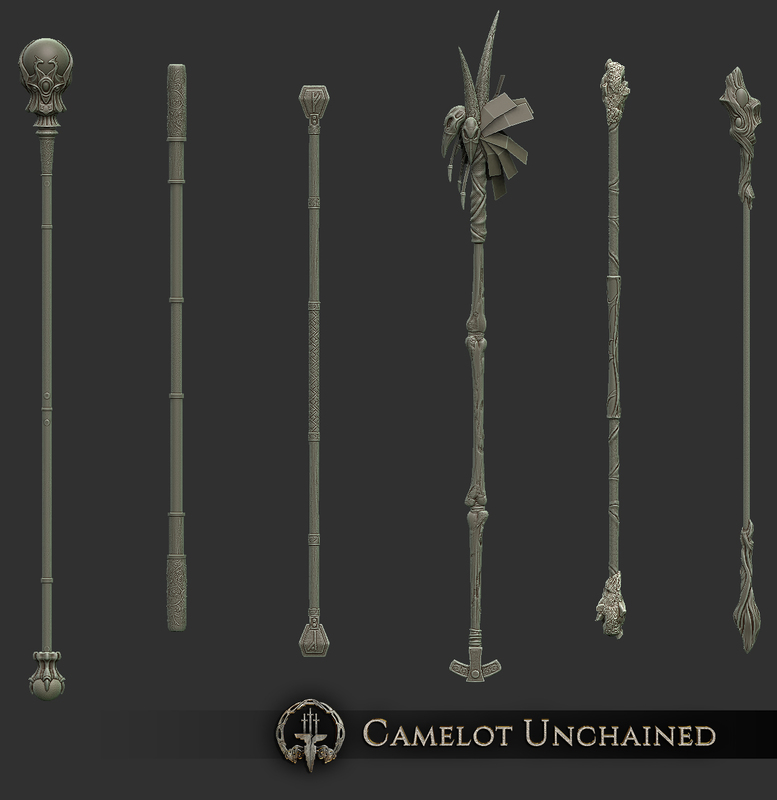 Work in Art Land continues apace, as we are conceptualizing, modeling, and creating everything from magic staffs to character fidgets and idles. Alpha andIt Test this weekend. The servers will be up all weekend (or till they crash and won’t start up again) for our Alpha and IT Backers. As to the User Stories themselves, we had 19 old cards with 117 completes, and 4 New cards with 26 completes. As a Backer, I’d like to find unique environment props, or unique locations, that add flavor to the environment while I’m exploring the Biomes. As a Backer in Beta 1, I’d like to play as a Crafter with basic gathering and crafting mechanics for testing. As a Backer, I’d like the selection of races in Beta 1 to have shared and unique idle and fidget animations. As a Developer, I’d like to improve the visual fidelity and speed of creation of our art assets through the investigation, and possible use of, the Allegorithmic software suite. As a Developer, I’d like to use a packaged sound resource which the client can unpack and dynamically use based on the correct event. 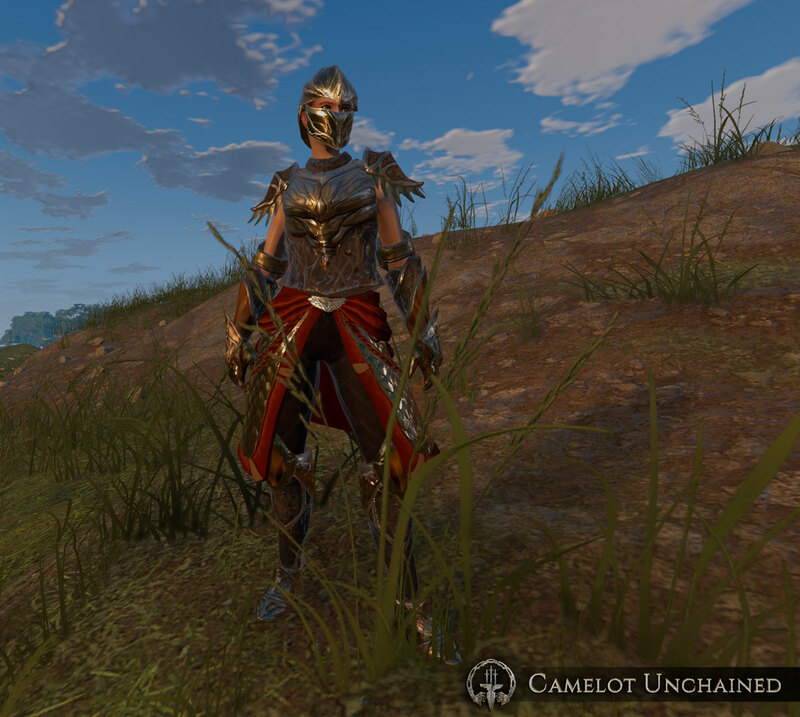 As a French Backer, I’d like to visit the French version of the updated Camelot Unchained website. As a Developer, I’d like to be able to copy an entire skeleton and its dependencies, quickly, to support unique animations per character types. 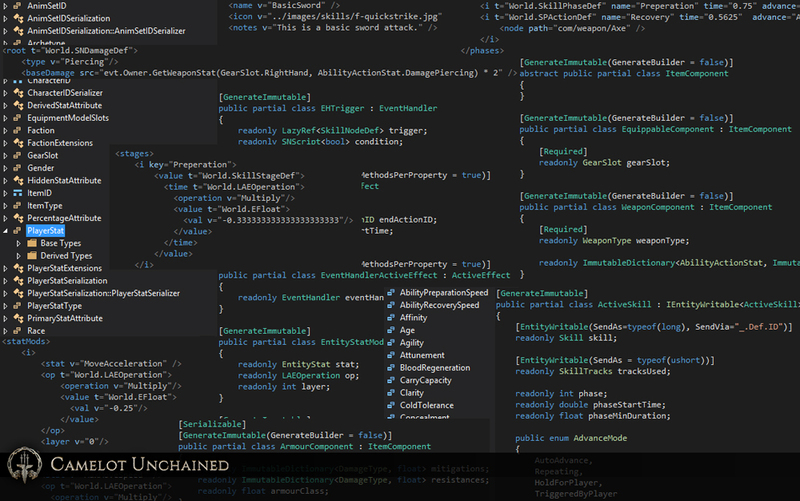 As a Designer of Camelot Unchained, I’d like to have the tools necessary to create abilities using the re-abilitated, ability system code. As a Developer, I would like to be able to quickly and easily enter, edit, and export the needed components and abilities for Beta 1 via Excel. Another great sprint. The Top Tenish list is a good one, but the full User Stories list is even better. In terms of art, we’ve got lots and lots. Let’s start with some concept art for some Two-handed greatswords of the Tuatha Dé Danann. Lots of nice work there, which blends the aesthetic of the TDD while still maintaining functionality and at least some reasonable amount of realism. 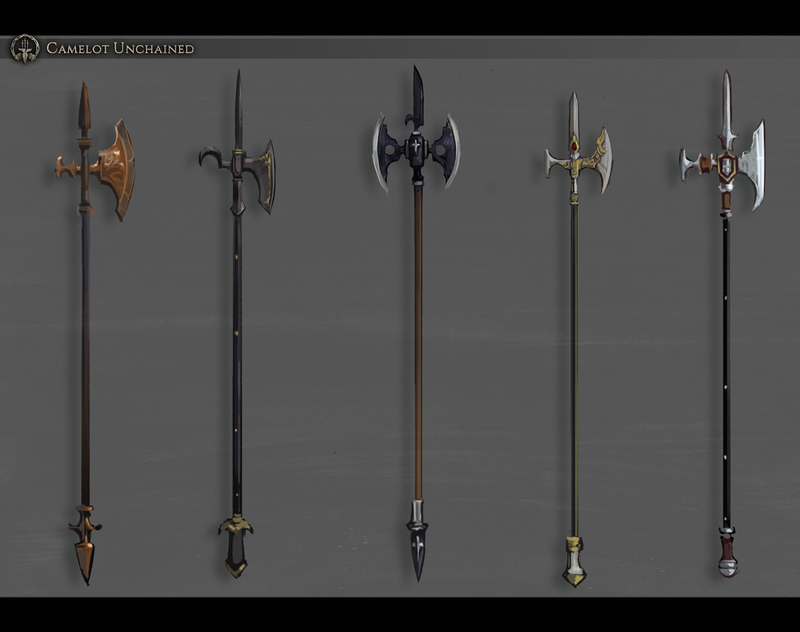 Vikings love to hit things in Camelot Unchained, and the only thing they like more than hitting things in Camelot Unchained is hitting them harder! 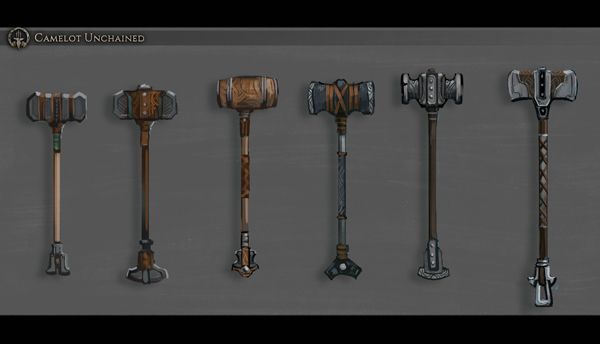 These weapon concepts for hammers do a very good job of that. OTOH, the Arthurians prefer a little more style for their weapons, and here are some polearm concepts. Concept art is great an’ all, but how will things look in the game? Well, let’s start with two work-in-progress looks at some weapons. 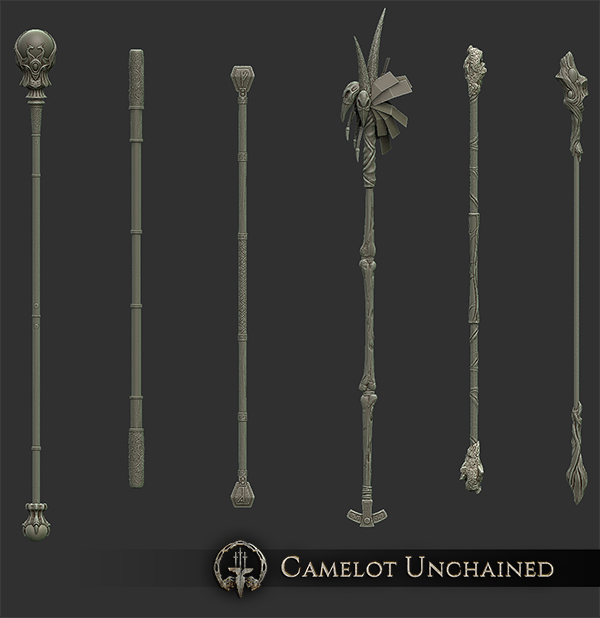 First, some different staffs. 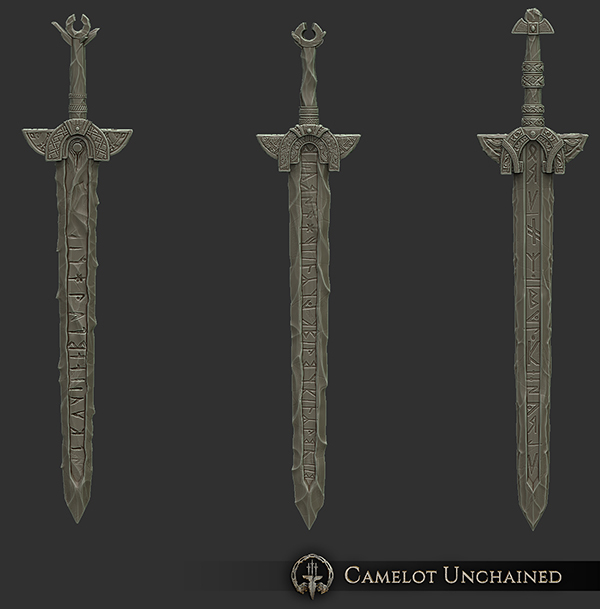 If you look carefully enough, you might begin to see how our weapon customization system is going to work. 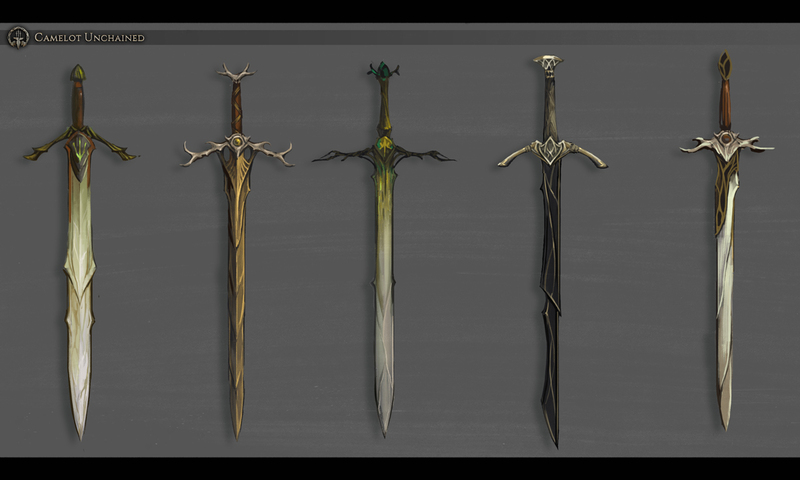 We showed you some concepts for Viking swords in past updates; here are some work-in-progress ice swords for that Realm. 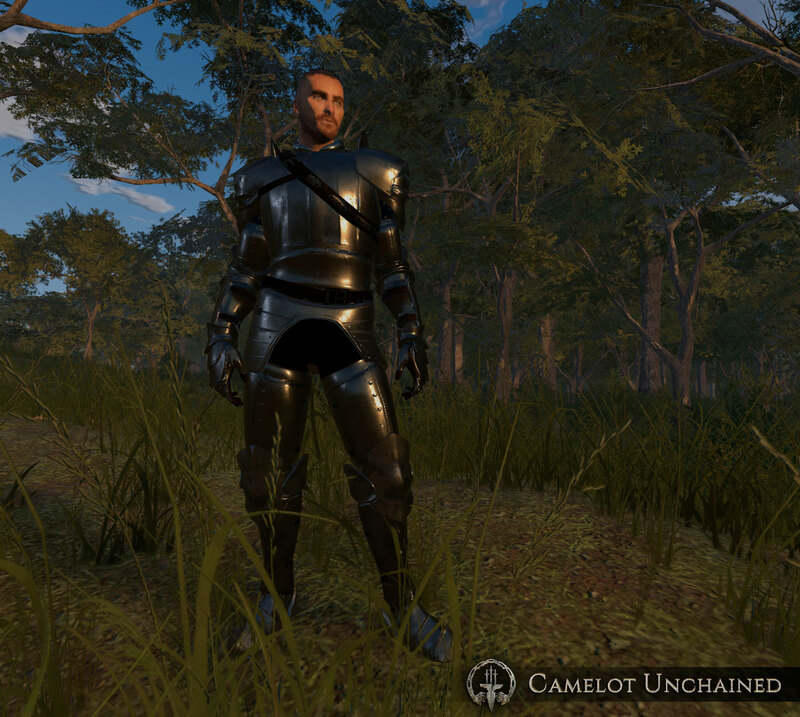 As always, though, you have to be able to take a blow as well as deliver one, and here’s one look at some stylish Arthurian armor from within the game. Then again, if you’re going to be styling, the Tuatha Dé Danann have their own unique look. 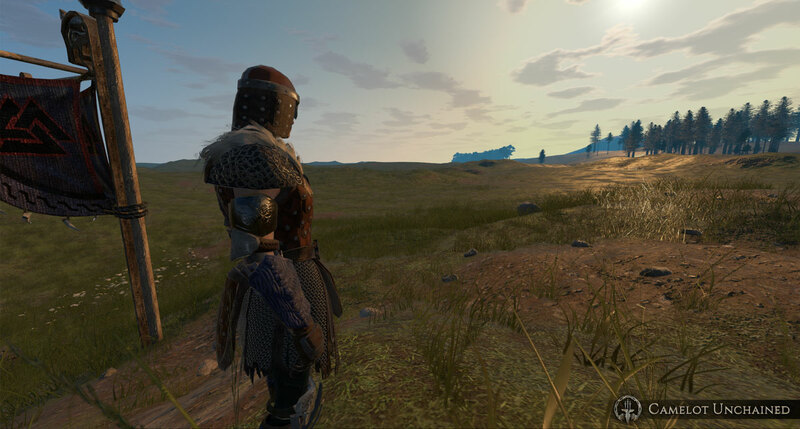 Here’s a glance at some armor from that Realm. And that wraps it up, mostly, from Art Land. 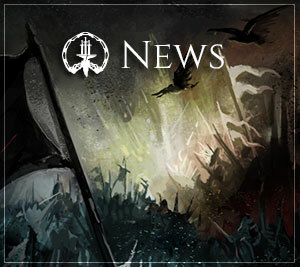 A great sprint indeed, and one heck of a Friday update, and this is just part of it. This month’s email brings, as always, a newsletter, and also includes a State of the Game message from me. It felt good to write one of those again, and I look forward to writing many more over the lifetime of what we all hope will be a great and fun game. As always, we thank you for your support and patience. We’ll leave you with a parting in-game screenshot. What is going through that lone soldier’s mind? You’ll find out yourself when it’s you standing there, looking at the beginning of the game, and the world that our Backers helped bring to life with their donations, support, and patience.